Another really busy week with various meetings going on around the world. This is a selection offering you an insight into what has been going on out there recently, and do remember that many of the Twitter shots contain clickable links! We look forward to the 14th Annual Critical Care Symposium in Manchester, click below and hope to see you there. A final note…I plan on releasing a piece on the best os ISICEM 17 this week. Have look at this fabulous new video from one of our favourite sources! The incubation and lifecycle of Malaria. Here is a rather nice little discussion of many of the upper extremity blocks we perform in theatre on a regular basis. These are discussed in the context of the ED…interesting! Have a look here at this video of VL in action. Clinical video demonstrating a collection of techniques to facilitate elective intubation for a patient with an unstable cervical spinal injury in caliper traction. Note the sideways introduction of the VL blade due to limited space for the VL handle, optimisation of the view (‘Rule of 3’), use of a coude-tipped bougie (introducer), and the 3-part technique to advance the endotracheal tube when it catches on the arytenoid cartilage (pull tube back to disengage, rotate 90 degrees counterclockwise, advance tube). Take a look at this fabulous quick differentiation of Tachydysrhythmias. What’s the Top 10 in EM? 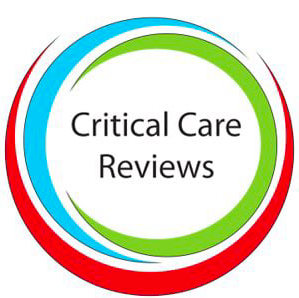 Simon Carley from the fabulous St. Emlyns Blog takes us through the Top 10 EM Papers. We love their site, full of vignettes and Pearls to keep you right on top of what’s current…particularly useful when you have to go down to resuscitation as the ICU physician! This article by Vibha Gupta discusses the pitfalls and complications of the good old trace tube. Common tracheostomy issues is presented in a clear and concise manner…shows what can and does go wrong!! Is what ATLS says regarding palpable blood pressures wrong? Ketamine as a first-line treatment for severely agitated emergency department patients. Want to reduce agitation in 5 minutes? This observational study pitched Ketamine against equivalent doses of other traditional anxiolytics. There seemed to be no increase in adverse effects and Ketamine was surprisingly hemodynamically neutral, given its intrinsic sympathomimetic properties. It was likely the agitation reduction and sympathetic stimulation from the drug cancelled out any net effect. Have a read of this lovely brief vignette on the subject of Antichloinergic Toxicity. Anaemia…are we going a bit too low?! Patients with CVD may benefit from higher transfusion thresholds than patients without CVD. This review suggests there is no difference in 30‐day mortality, but there is an increased risk of ACS in patients with CVD who were randomized to a restrictive transfusion threshold compared with a more liberal threshold. Perhaps then, we should be following a more liberal transfusion threshold (>80 g/l) in this population. But as they say, further trials needed. Fluid challenge…now it’s Tidal Volume Challenge! PPV is often used to predict preload responsiveness, it is simple to do and doesn’t require expensive gizmos! But, as the article points out, it can be unreliable during low tidal volume ventilation, which is now widely practiced in ICU patients. But…don’t be too hasty, this is easily overcome by using the ‘tidal volume challenge’ a simple bedside test, following which PPV can reliably predict fluid responsiveness. Whether this test may also have the potential to overcome other limitations associated with the use of PPV needs to be further studied. Here is a great paper on the pramacodynamic / kinetic changes we need to be vigilant to when dosing our patients on ECMO. The muscles are weak…but the diaphragm is where the problem is! We are continuously looking at the best ways to liberate our patients from artificial ventilation. Respiratory muscle weakness is the last thing you need! This paper looks at the evidence behind why this is a constant headache, new biomarkers and new techniques too try to combat it. But…do they work? Get in there early with Amiodarone or lidocaine…or not?! Who wants a Nobel Prize….in Anaesthetics? Anaesthetic agents seem to herald new modulatory effects on a daily basis. What do they do to the immune system though? Let’s face it, we don’t even know how volatiles work, but we do know about the IV agents. Read on to discover what has been unearthed. Obesity…a massive problem with new discoveries! So, what do we know? It’s a massive problem, takes multiple personnel, bits of kit, time and expense to cope with. Obesity is rife in our population, so we need to get smart in how we treat it. This article discusses many techniques via which we can make the situation less of a problem for these patients. They have enough to deal with as it is, let alone liberation from a ventilator! Read this fabulous review regarding the recent excitement of HFNC as a bridge to intubation, to avoiding intubation and many other things. Is it the golden gate to avoiding invasive ventilation in high risk patients? The Holy Grail…or is it?! Have a read of this fantastic editorial on the shortcomings of Hemodynamic monitoring in the era of evidence-based medicine. Manu Malbrain et al discuss it’s positives and negatives in this snappy editorial. A landmark look at what happens to patients after expeditious intubation. It probably is not the ‘be all and end all’, in immediate resuscitation management. There were a large cohort of cardiac arrest patients looked at here. Scan them…don’t just ‘Test’ Them! This demonstrates that you can actually ‘see’ what the diaphragm is, or isn’t up to before you go pulling that ET tube out and watching your patient fall in a heap again! It’s kind of akin to blind fluid resuscitation without echo! Perhaps Pollution is in the Dilution?! You would be quite surprised what you can do to the rheology of a patient’s circulating volume…without even realising it. This paper eloquently demonstrates we are probably inadvertently haemodiluting many of our patients! Dump that Cholesterol…a New Way! The ORION-1 Trial interim analysis results are encouraging for the usage of this new agent to fight the battle against LDL-C.
ORION-1 is a double-blind, placebo-controlled trial of inclisiran, administered by subcutaneous injection in adults with high LDL-C and at high risk of CVD. For the primary end point, the mean reduction from baseline of LDL-C at day 180 was 27.9% to 41.9% after a single dose of inclisiran, compared with a 2.1% increase for placebo (P<0.001). Hypertriglyceridemic pancreatitis is common among critically ill pancreatitis patients, but receives little attention. Measuring a triglyceride level should be considered in all patients with pancreatitis. The diagnosis of hypertriglyceridemic pancreatitis is based upon an elevated triglyceride level (typically >1,000 mg/dL) and exclusion of other likely causes. In addition to general therapies for pancreatitis, patients with hypertriglyceridemic pancreatitis may also benefit from treatments targeted at reducing triglyceride levels (either plasmapheresis or insulin infusion). Some recent evidence suggests that insulin infusion may be more effective than plasmapheresis clinically. Insulin infusion is also safer and easier to initiate immediately. VA ECMO – the Solution to Hypoxia? What is different about hypoxia on VA ECMO? This article offers a brilliant Q&A on this topic. This is a particular favourite for the FFICM exam, as we viva’d people on on the Oxford FFICM course last week. However, BLING-III is about to recruit. Have a listen to this interview with the P.I. Have a listen to this podcast where Simon Finfer discusses yet another IV fluid trial idea. The PLUS trial aims to look at the evidence in support of the fact that buffered fluids for resuscitation of ICU patients improves outcomes compared with normal saline. Stressed up? Have a read of this fabulous blog on the topic within medicine. Sit down though, its a long one! Thanks for reading and your continual support!